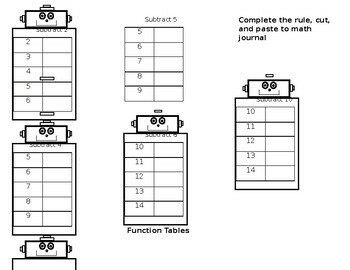 Function tables, also called input/output tables, are a great way for students to practice their addition and subtraction facts, while also developing a better understanding of the connection between addition and subtraction. 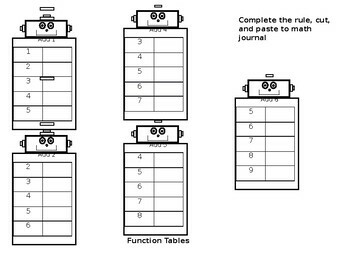 This is a perfect interactive journal/notebook activity to reinforce what they have already learned in class. The file is also editable.